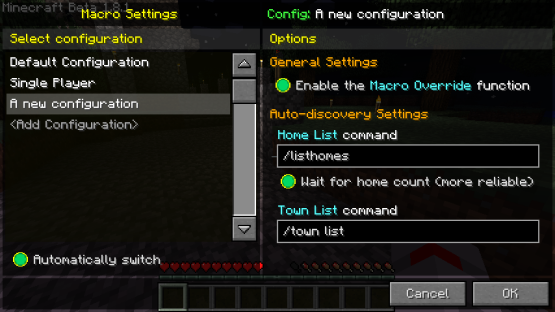 Macro/Keybind Mod is officially updated to Minecraft. 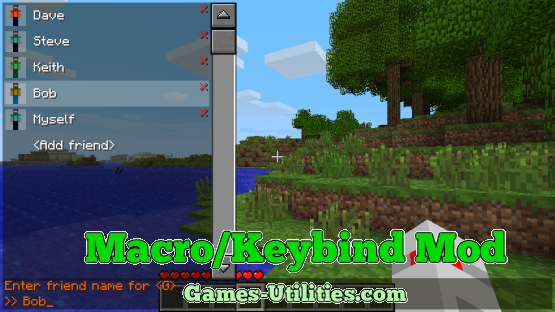 If you are running a server, or playing on a sever and have a good number of additional plugins installed then you must have Macro/Keybind mod. 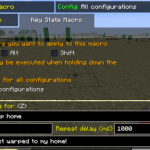 It allows you to remap your Minecraft hotkeys to any key or click. 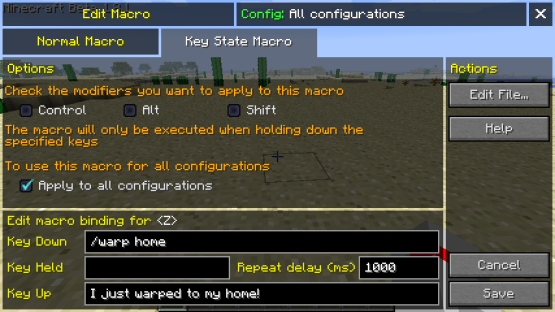 You can set macros bindings (assign multiple function to a single key) using a custom GUI. Macro / Keybind mod has an in-game text editor, you don’t need to switch your windows to edit configuration files. Scripting is allowed, you can even save multiplayer profiles for different worlds whether it’s single or multiplayer. 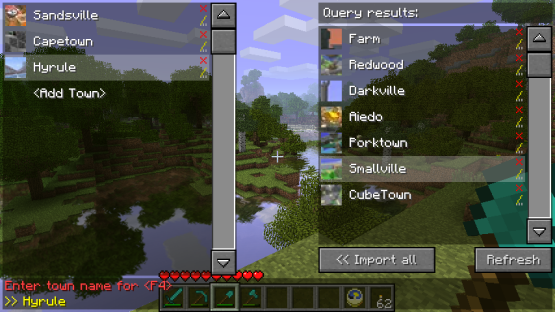 Description: Keybinding (Hotkey) mod for Minecraft. Compatibility: Windows, Mac and Linux. • Now press WinKey+R and type %appdata%/.minecraft/bin and press ENTER. • Drag and Drop LiteLoader files into the jar. • Now to go ./minecraft/mods folder and paste the Macro / Keybind mod file you downloaded in STEP#2. 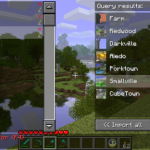 – Do create a back-up of your Minecraft before using this mod. 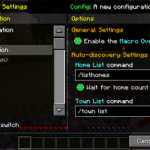 – Check Minecraft Controls to make sure this mod does not conflict. – Press [SNEAK KEY]+GRAVE to open the in-game menu of this mod. – Please go the official thread of this mod for guides and reporting bugs.